Ninjutsu Training is a special kind of Martial Arts Training. The Bujinkan studies the techniques of 9 Japanese Martial Arts that trace their heritage to the Iga Clans of ancient Japan. Hence, Ninjutsu covers both unarmed movements (Taijutsu) and Japanese Mainland Weapons. Taijutsu encompass two categories: Dakentaijutsu and Jutaijutsu. Dakentaijutsu are methods of striking, while Jutaijutsu is bethods of locks and throws. Dakentaijutsu encomposses Koshijutsu and Koppojutsu. Koshijutsu focuses on nerve strikes, while Koppojutsu is bone breaking. Jutaijutsu is the equivalent of Jujutsu, covering various throwing methods. 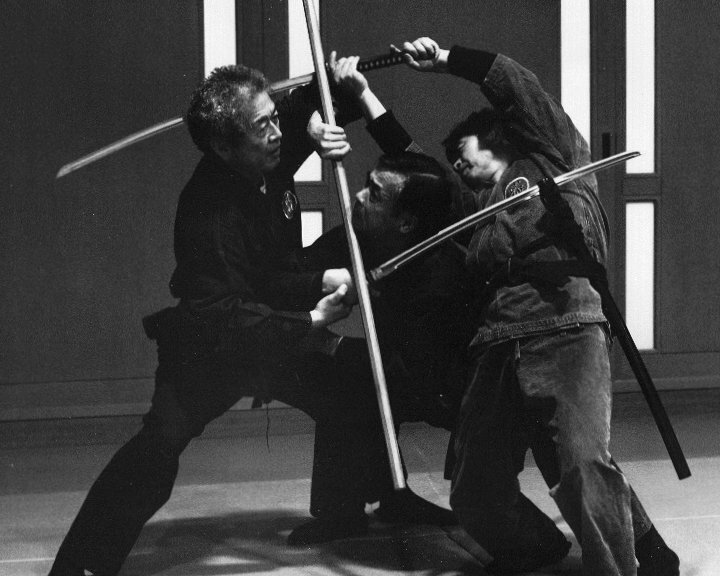 In addition, Ukemi (method of receiving) is studied to maintain the safety of the practitioners. This includes various rolls and breakfalls. If you are interested in studying Ninjutsu, we invite you to try a class for free.